Oh so cute! I love those little chubbers and I want to squish them. Every time I go outside the past two days I see the bright Super Moon- this shot was taken at about 4 in the afternoon. 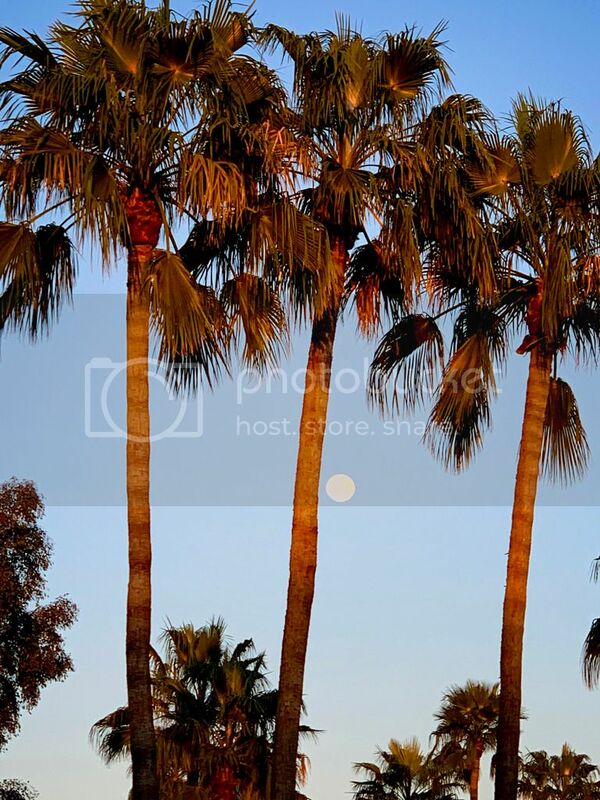 You talk about the moon, but look at those palm trees! I miss palm trees. 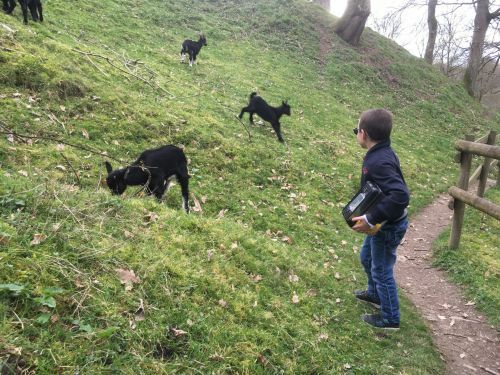 I'm all for getting OUTSIDE and enjoying the sunshine, especially after we've been cooped up indoors because of snowstorms and recovery. 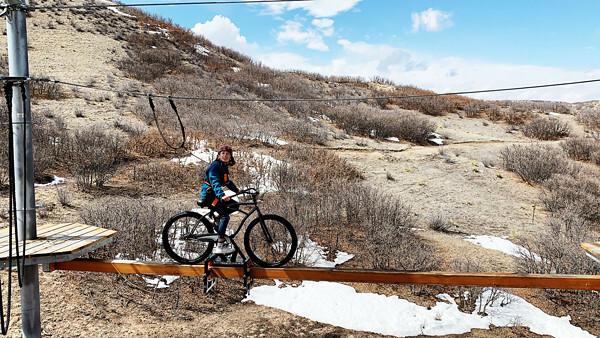 "Ride a bike on a balance beam two stories above the ground? Yes, I'll try that!" said my capriciously brave child (note the helmet, harness and huge metal clips attached to the safety wire). Aaaaaaand about half way through she was no longer so brave, and cried until Mom climbed her way over other crazy obstacles to rescue her. These seemed to have popped up overnight along the path of our driveway. I leave this to my dear husband who knows how to master all those sorts of beautiful things. Unfortunately, they didn't last long which is a total bummer! . Happy I grabbed a picture while they were in beautiful bloom. I almost forgot to upload this! 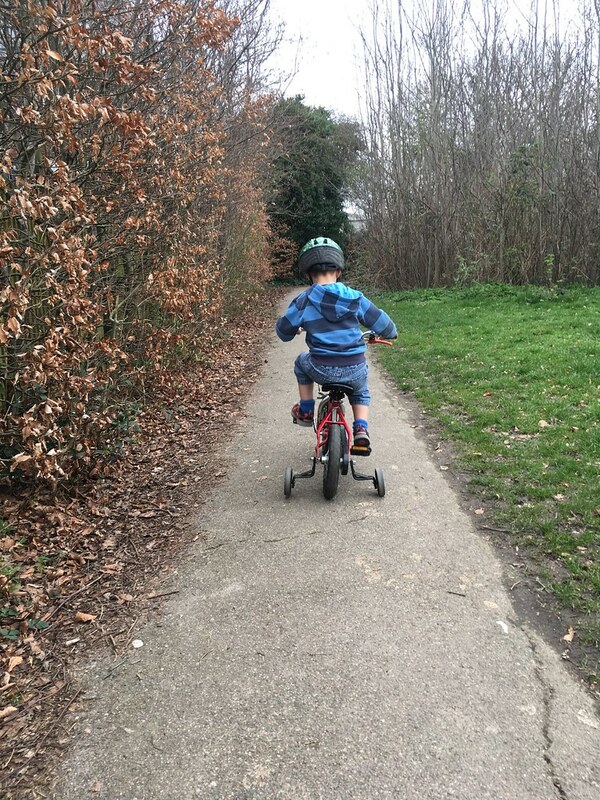 We took those stabilisers off his bike right after this little trip to the park, but he didn't quite manage to master riding without them, so this is the picture that I'm posting! I love love love Daffodils. 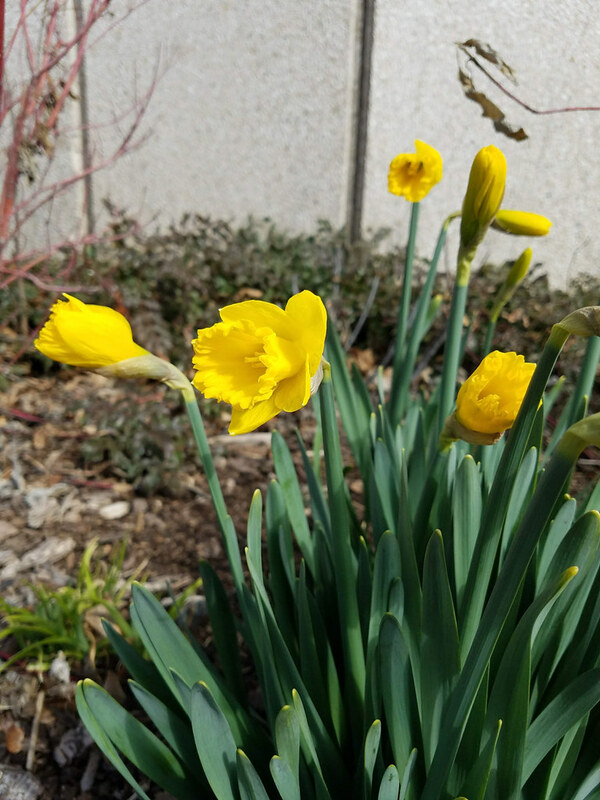 They are my favorite sign of spring and I was so excited today when I saw my very first Daffodils of the year. Luckily they were at the church and not somebody's yard, because I had to get a picture.